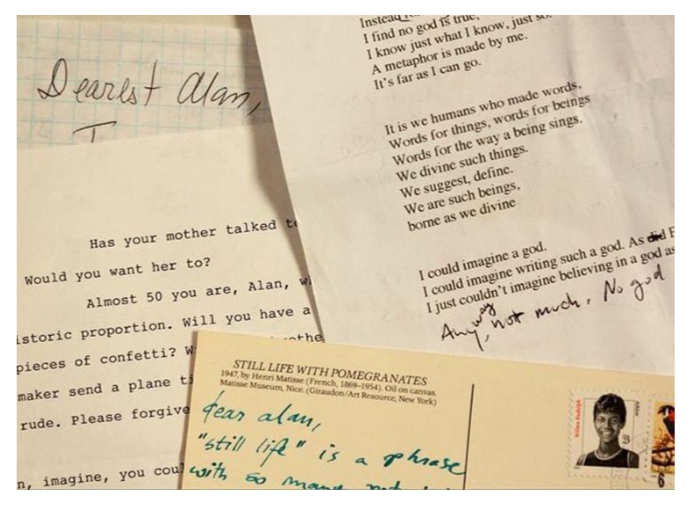 A letter-writing project, inspired by a lifelong penship, between Smith Alum poet Abe Louise Young (‘99) and her dear friend Alan Shefsky. The correspondence between Young and Shefsky will be displayed, along with letter-writing paraphernalia, so that students may write and post letters of their own during the exhibition. Show Runs: Feb 17 – Feb 23.